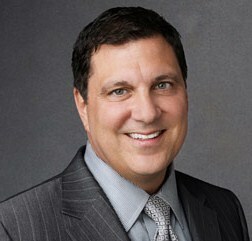 Mr. D’Alba previously worked as president of CNN News Networks and Turner’s digital ad sales and marketing. In that position, he oversaw all domestic ad sales, marketing strategies and business operations for the CNN portfolio of networks and Turner’s digital portfolio of news, entertainment, sports and animation properties. Mr. D’Alba also sits on the Boards of Directors of the Cable television Advertising Bureau (CAB) and Interactive Advertising Bureau (IAB) and serves as Board Secretary of the American Advertising Federation (AAF). He is also Board Chairman of the Ghetto Film School – including The Cinema School, the nation’s first film high school – and Digital Bodega, which, in addition to providing college scholarships to disadvantaged high school students, strive to connect those students who are interested in filmmaking with the entertainment and media communities. Additionally, Mr. D’Alba pioneered the Turner Diversity Fellowship program with Syracuse University’s Newhouse School of Communications to provide scholarships to students in their masters program. Mr. D’Alba earned a degree in communications at the University of Buffalo, and was also honored to deliver the commencement address to the university’s graduating class of 2005.